I think it was a good idea to make this post before I make the recap post about the Bunny Run that occurred yesterday. Yesterday was such a great day, and I'm glad all of you were able to attend the Bunny Run. It really does take a lot of work to put events like this together so they run smoothly, but, I still enjoy hosting these events. I want to talk a little bit about the purpose of these events, and what it takes to get them to run. Figure out a perfect day to have the event (since I'm a college student). Get houses ready by decorating. Make sure all of the amazing cohosts (Autumn, Frostcaller, and Michael) are still able to attend these events. Make video guides, and make sure everyone looks at that guide. Try to find help for port wizards to teleport everyone to the afterparty. Make Blog Posts about the event. Have code giveaways - and announce the winners (which does take time). Announce the event on every social media platform, sometimes everyday. Make sure everyone knows where to meetup on the day. Get everyone to the party, and try not to leave anyone behind. Have more giveaways on the game. Make sure everyone knows what's happening by telling everyone at the events at all houses. And much more. It really takes a lot of time to get events like this ready. We had many show up, so it made it a little tougher than usual, but I still hope everyone had fun. True story. It does sometimes cost money to have events like this. I am not doing this to pay people to come to our events (otherwise I would have announced the $10 code giveaways all over - and I only announced it a few places). I gave away $10 Wizard101 gift card codes, and still have more to giveaway within the next week, but I did pay out of my pocket as a thank you, not as a bribe. I really don't mind giving back to the community. Cohosts have also spent money out of their pocket for events like this. Who's Invited To These Events? Last, but certainly, not least, I want to answer the important question in red. EVERYONE. If you feel like you're not invited to these events, you're wrong. Everyone is invited to these events. The purpose of these events will not be ruined and made into something disgusting. The purpose IS and ALWAYS WILL BE the community. We have these events for everyone in the community. I will not exclude anybody, as long as they're nice to everyone at these events. Everyone last night was very nice, and it seems like everyone had fun. This was my goal for the events. It's really tough putting an event like this together, and unless you have, you won't and never will tell me how these events should go. This event was first announced last December on my website. I was looking forward to this event for a long time. I know we're usually busy and aren't able to talk with everyone, but I still enjoy having these for everyone. As I've said many times in this post, it was tough having these events. It takes a lot of time to prepare for them, and most of all the busiest day is the event day itself. I'll be honest, I was online for 12 hours because I love talking with everyone in the community. Events like this make me believe the community will stick together through thick and thin. I've had events where I don't give away codes and it has the same atmosphere. A welcoming atmosphere. That's exactly why I'm proud to have events like this. 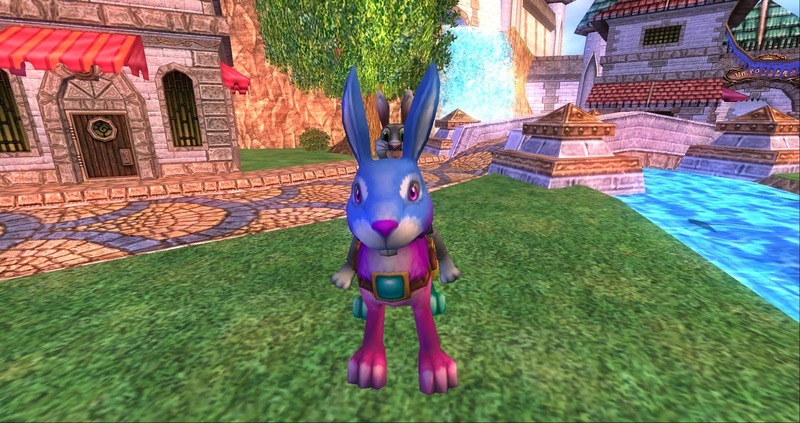 We are extremely proud to have these events for every person in the Wizard101 community. I know not everyone has supported me, even though I've shown support many times in the past, but I really don't care about support anymore. I do care that all of you had fun at this event, was able to make new friends, and talk with old friends that haven't been online in awhile. That's the reason I have events like this. It was nice seeing ALL of you at this event, and I do invite you to all future events. I invite everyone reading this post. I support everyone in this community and I do invite everyone to these events. The time and money we spend into these events, I have every right to invite who I want, and that is everyone. Thank you all for reading and I hope you enjoy my recap post later this afternoon.